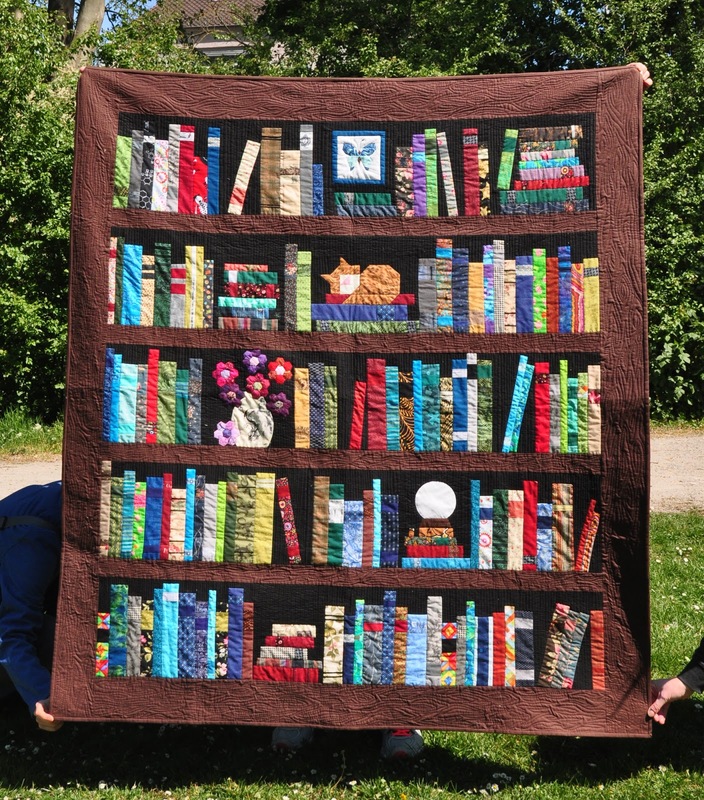 For a very special friend's (who happens to be a librarian) special birthday. 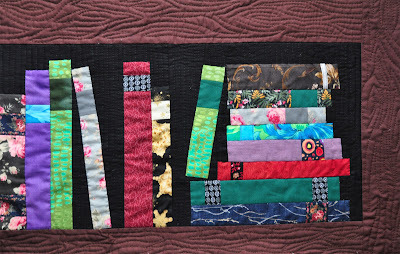 I also incorporated this orphan block which was left over from some paper piecing experiment I made. My friend loves cats, so, naturally, I had to include one as well. 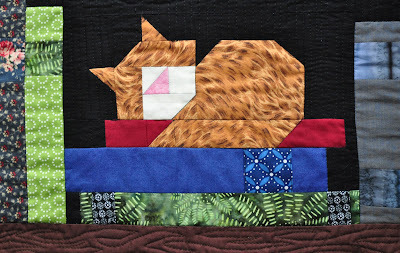 Her cats are black and white, though, but this wouldn't have worked with the background, so this brown tabby it became. 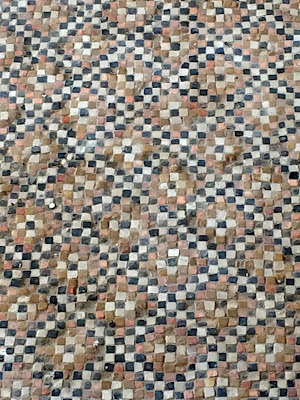 She didn't mind the color at all. The print on the vase is some of my rare Japanese fabric from my last trip there many, many years ago. The flowers are from an ongoing EPP project. 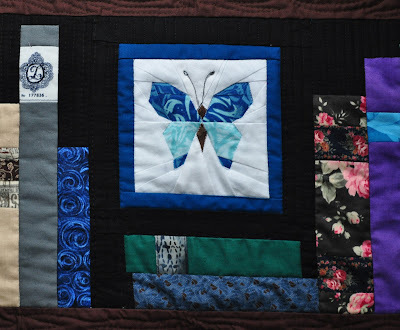 Here on the back the quilting is more visible. 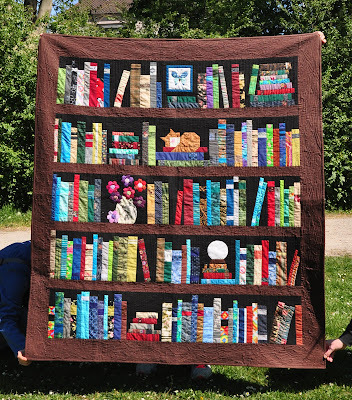 I first went around all books using my walking foot. 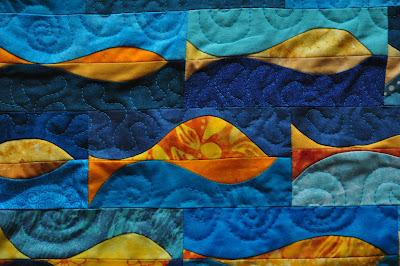 Then I free motioned the black background with more or less straight lines. 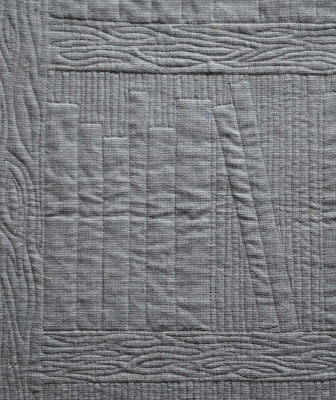 Finally, I fmq'ed the shelves with some wood grain. 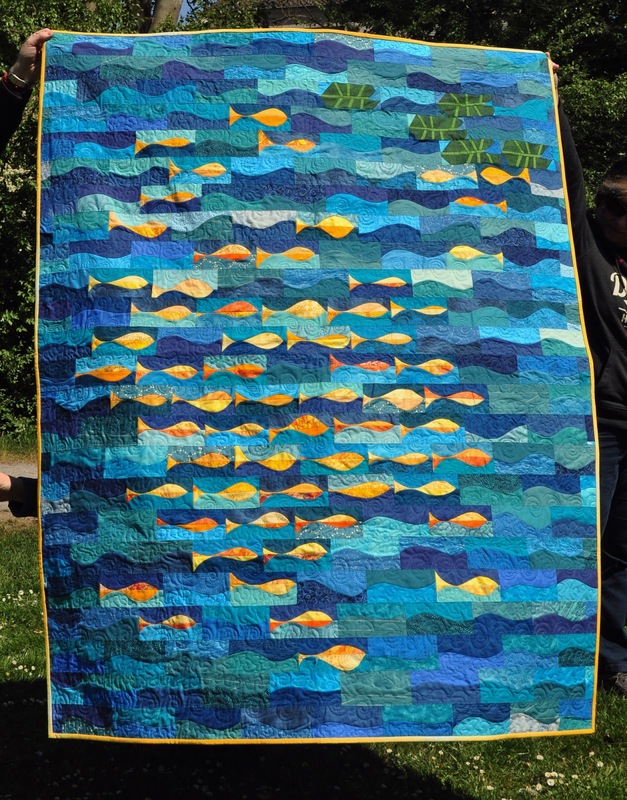 I had lots of fun making that quilt, the quilting came our great, and my friends loves it (which is the most important part. 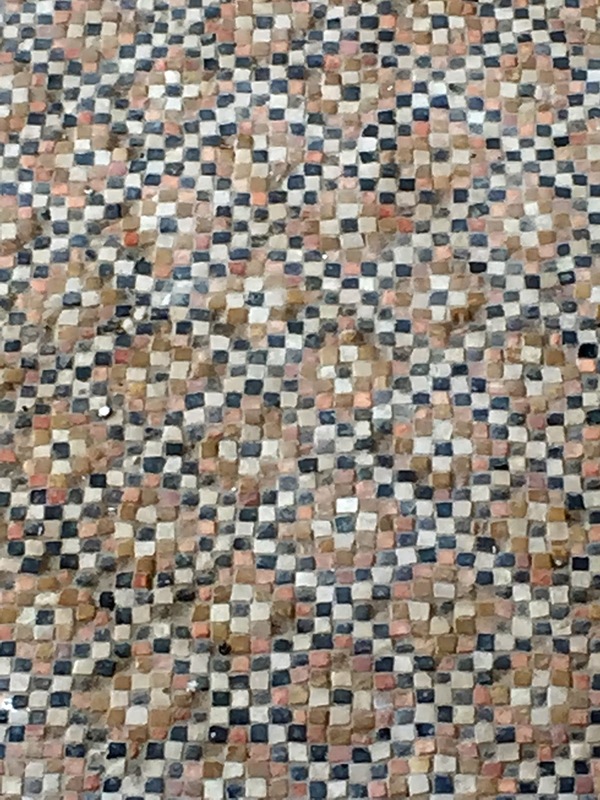 Last week I went to Israel for a week (mostly work, but I got a few hours for myself before my flight was due on the last day). On the way to the airport, I stopped at Caesarea, an ancient Roman city, and did some sight seeing. 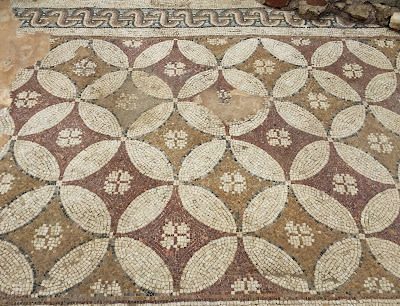 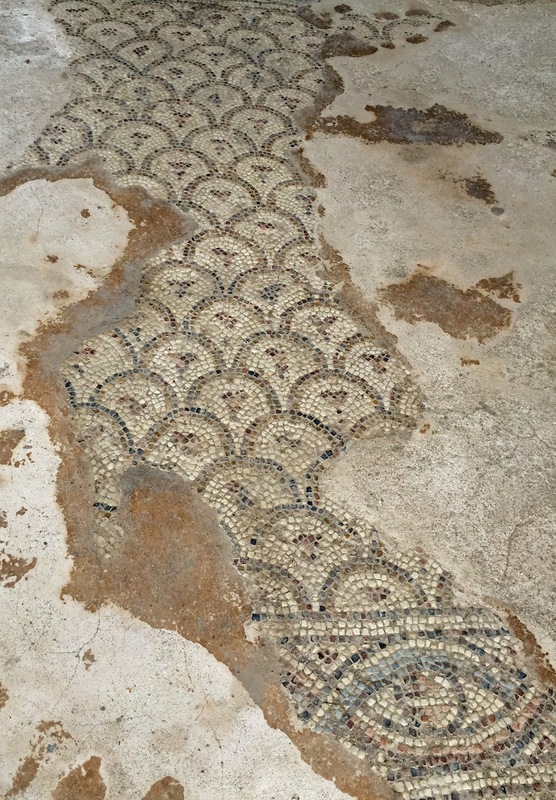 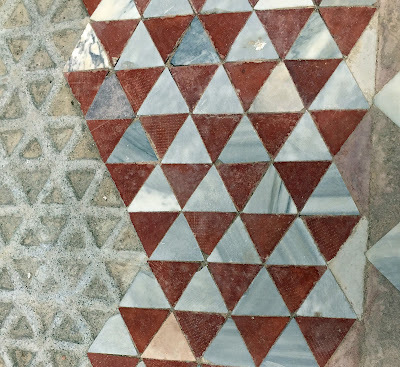 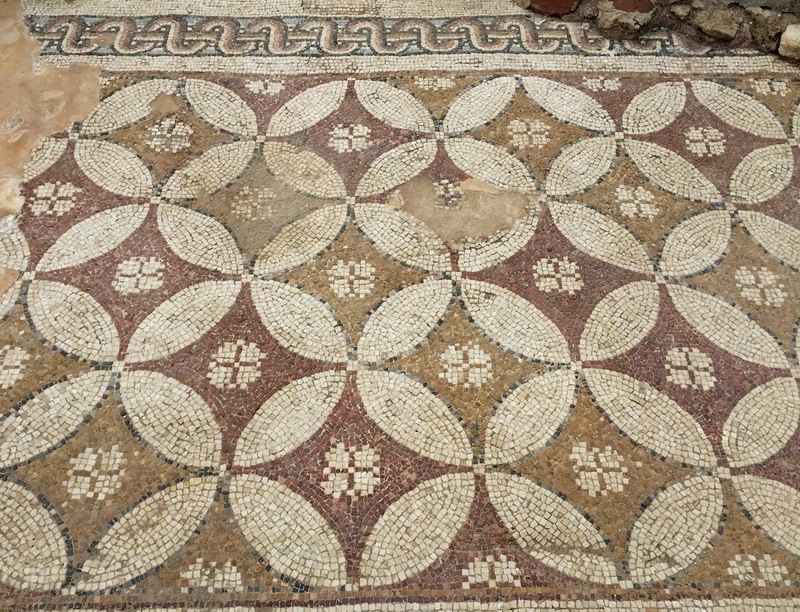 While I was there I noticed that a lot of the mosaics they had unearthed resembled well known quilt patterns. Here some examples. I did finish the quilt top already back in December, but only got around to make the actual quilt a few weeks ago (and then my stippling foot broke and I had to improvise). 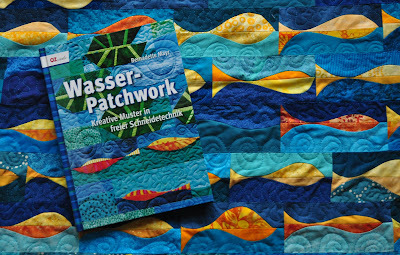 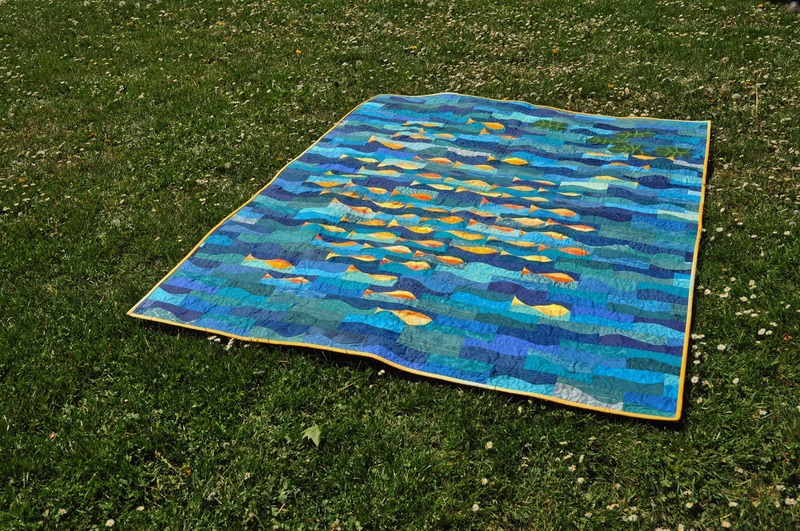 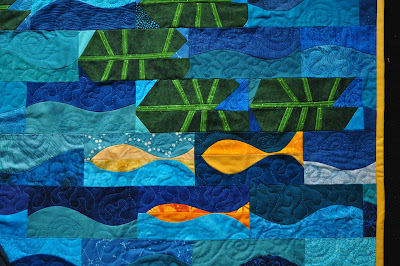 It is the first time I made a quilt following the pattern in a book, but when I saw the funny goldfishes on the cover of Bernadette Mayr's book I fell in love. 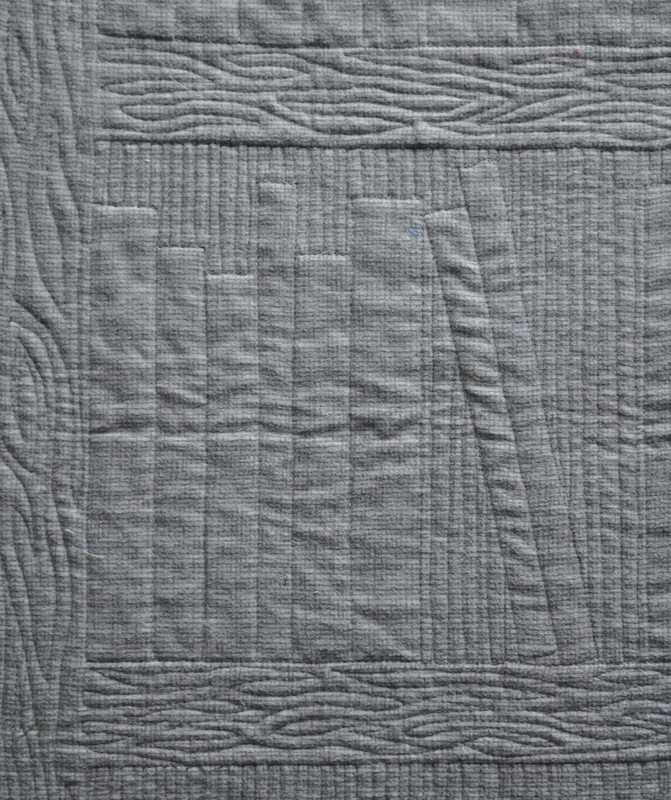 I don't think I changed a single thing from the pattern, except maybe that I converted to American measurements, as all my rulers are in inches (rulers are only used to cut the blocks to size). 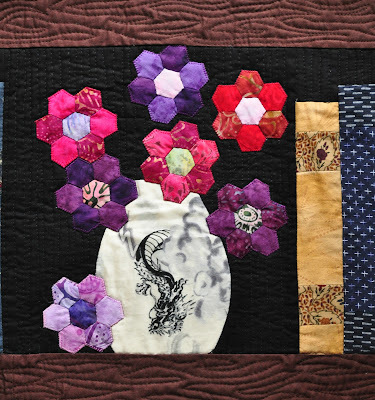 I very much love the quilt and it's definitely one of my favorite quilts to date.